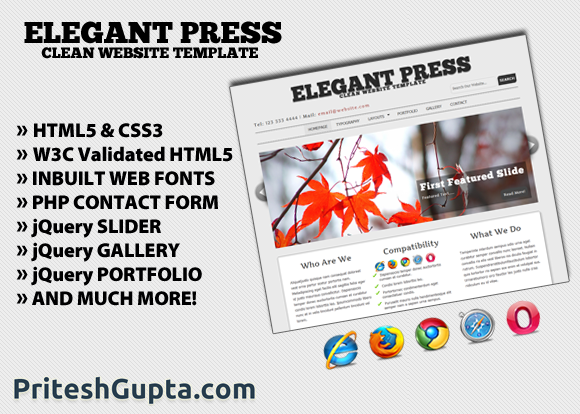 “Elegant Press” is a clean, minimal and modern website template. It is fast loading and cross browser compatible. It is created to suit all kinds of businesses. It is made using HTML5 and CSS3 and has inbuilt web fonts, along with working contact form, necessary jQuery plugins and much more. You are free to use it for your personal as well as commercial projects. It is released under New BSD License, read more about it here. Uses ChunkFive and Artifika, loaded from Google Web Fonts. 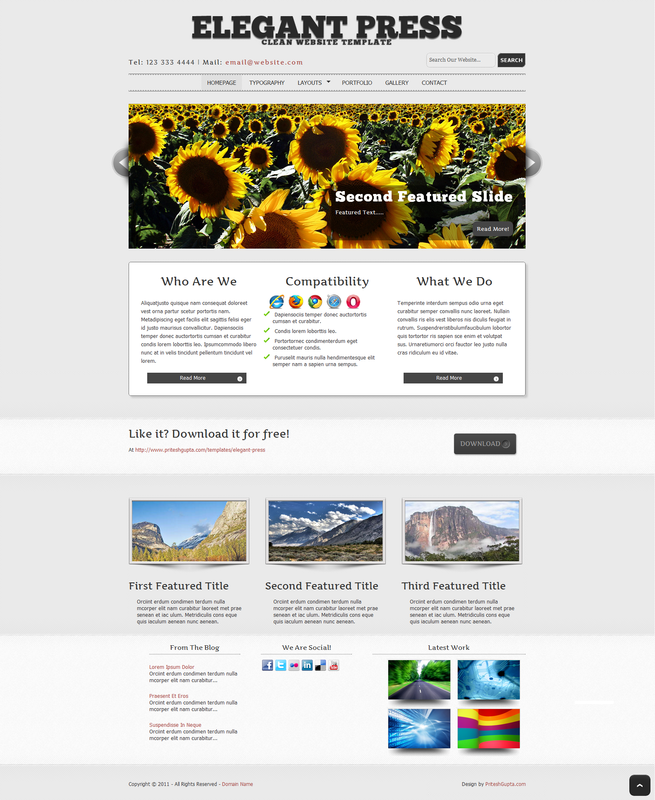 Has essential jQuery plugins like prettyPhoto. Multiple layouts: Right Sidebar, Full Width, Gallery, Portfolio, etc. Totally Free! Released under New BSD License.